METROPOLITAN was created for the younger customer seeking a chic minimalist look for a limited budget. 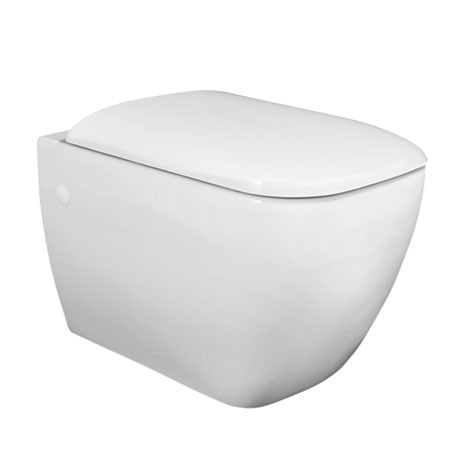 Most low cost bathroom ranges are dated and lack style and appeal, Metropolitan has a balanced mix of curves and straight lines resulting in a strong statement for today's smaller bathrooms. The wall hung pan comes with a soft close seat. Great quality great looking in new bathroom. Refurbished whole bathroom and went for this modern, straight lined design with smoothly curved edges. Works well with Tavistock Agenda basin of any size, which has similar design on outside and inside too. Happy with this choice!